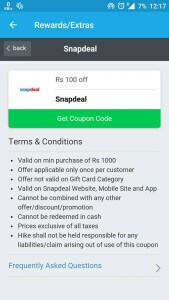 Hey Guys, Hike is offering free 100 off on 1000 or more purchase at snapdeal coupon code. 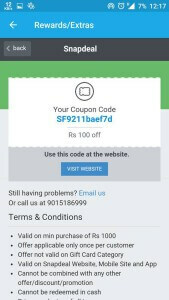 you can use this coupon while purchase on snapdeal and get flat 100 rs off, on 1000 or more products. so check it out now from below and let's grab this offer, before it ends. 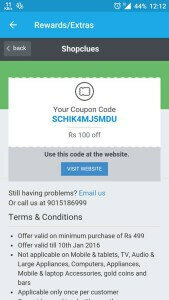 This offer is valid for both old and new users of Hike. 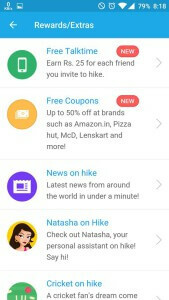 you have to sign up or login with your hike account, and follow up below instructions for get the coupon code. click on proceed to Payment option and Pay remaining amount via cash on delivery or via any other available payment method. 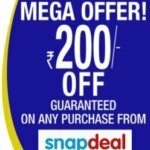 So grab this offer now, before it ends. keep visit here for find more deals like this. Thanks for visiting.